Information credit to the official: Quidditch World Cup site. 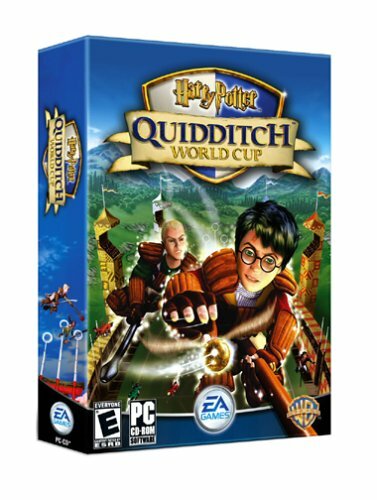 Take to the air in the first game that allows players to fully experience the magical speed, power, and competition of Quidditch, the favorite sport of witches and wizards, in the Harry Potter�: Quidditch World Cup game. 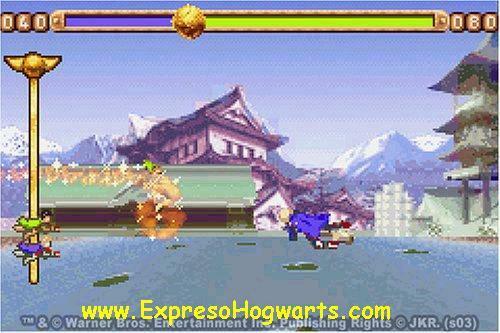 Seeker who chases the elusive Golden Snitch� that must be caught to end the match. depth and strategy, especially when two gamers head to head for the first-ever Harry Potter multiplayer competition. above them by a variable amount of points, making the choice of when to go after the Golden Snitch a tactical one - capture it before amassing enough points to advance up the ladder and you may win the match but lose a chance to advance. 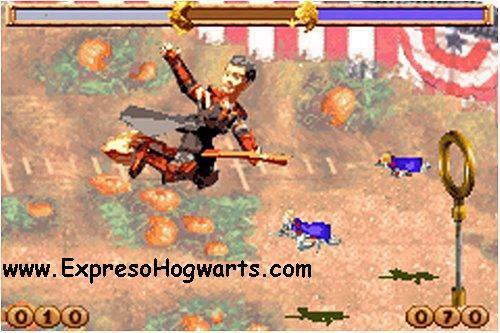 -The first and only way to experience complete Quidditch matches. Climb aboard a flying broomstick and take flight to engage in exciting competition high above the Quidditch pitch. -Play as any one of four Hogwarts Houses and numerous characters from the books and films, including Harry Potter (as a Seeker on the Gryffindor� team), crafty Draco Malfoy� from Slytherin�, and international Quidditch stars such as Bulgaria�s Viktor Krum. 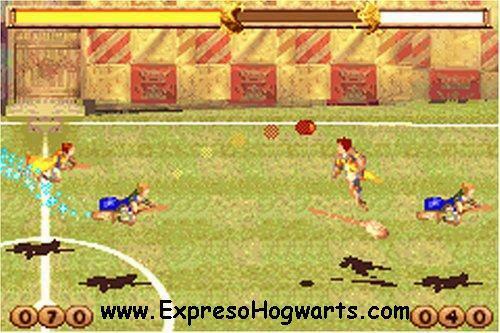 -Play all the Quidditch positions and execute all the high-flying moves: control the three Chasers to score ten-point goals with the Quaffle, the two club-wielding Beaters to control the two dangerous Bludgers, the Keeper to guard the three goal rings, and the Seeker to capture the Golden Snitch� to end the match and score 150 points.